I promise I got a post coming I just in process of making the next scene it quiet long progress this time it's a lot of poses all at once and omg a lot lol so far over 20 poses in one scene atm lol cause most of not all are partial animations just for one scene will be tons of screens lol but when it all done. it will be all how I expected it to be and bout posting that pose's oh my goodness lol all the pose in the story this time will be custom by me lol. i look forward to seeing! dang Photobucket I have all those pictures luckily, so I can restore them I just got them al reloaded into Imgur that will be another day but if you wish to see the parts that don't have picture atm you can see it on my tumbler page. As the day began Pristine and Preston went to work as usual on their last day of work of at the end of the week. Preston would help pristine with her hair and her with his button on his shirt. Preston: "Almost it, let me straighten it a bit...."
Pristine: Waterworks already?. we haven't even got there yet.! dear brother I know this not exactly your favorite day but try to smile a little. hope to make sure this button stays. now look you got me doing it to "
Pristine: "You know You don't have to be so sad Mom and Dad wouldn't want to see us sad you know." "Preston: I cant' help it I miss mom and dad, I think about the last time I saw Mom and Dad alive you know I do this every year." Pristine: "Now let get going.. were going to be late. I know you're afraid you might get attacked by them but you won't. we have protector's and You have ME!!." Pristine: "I know it not your favorite time to go cause it at night but it's easiest for use visit mom and dad and I know how much you miss her." 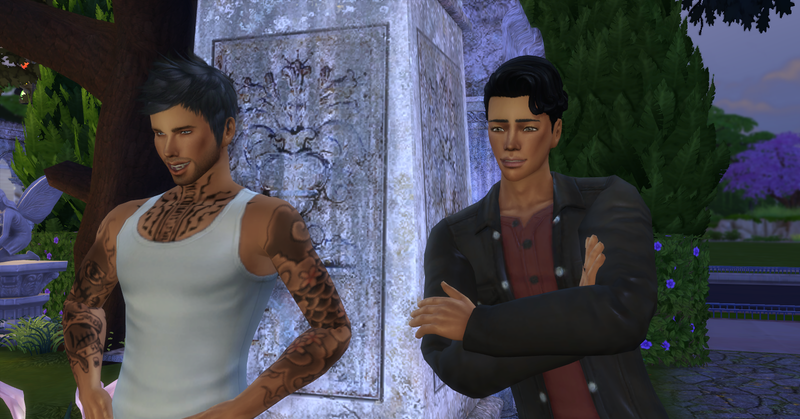 Elijah:( Vampire male in the white tank) "It looks like the Belles are Here for their yearly visit." Marco:(Male standing next to Elijah) "She way out of Your League Dude..., Beside The boss has a claim on her since Highschool, Boss said she the one show use to beat him in fight's and word on the Nexus is these two are off limits to use as vampires as food source. " 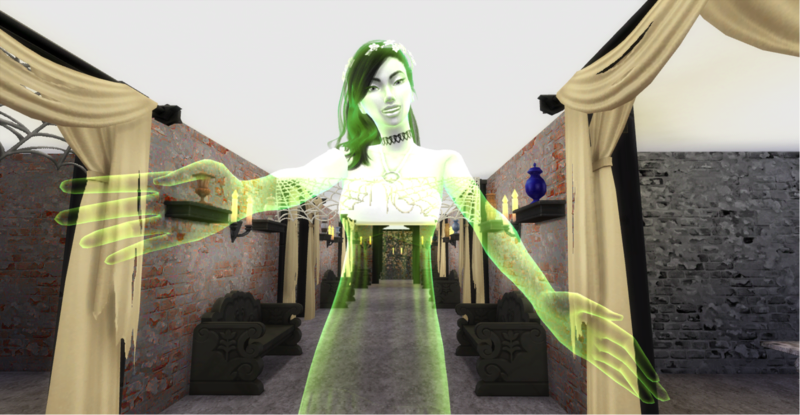 Elonya Dawn:(female vamp in green) Because the Girl had fangs she was the outcast of the fae community. 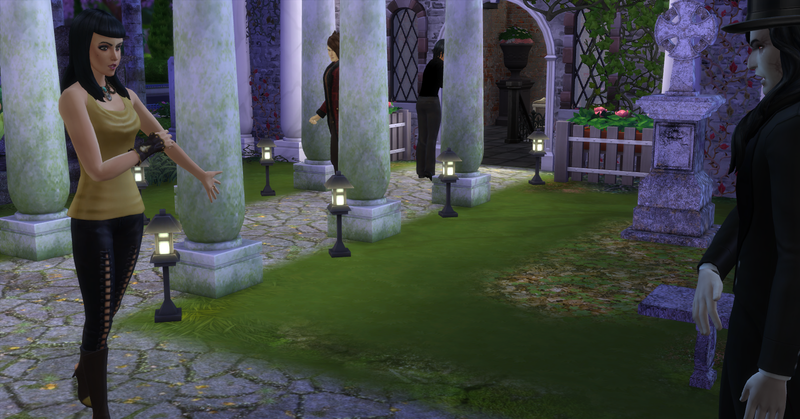 And was sent to be raised outside the Fae community with her mother. Her mother sends her to the human world to live after she was old enough. There she lives where a young apprentice warlock fell in love with her. 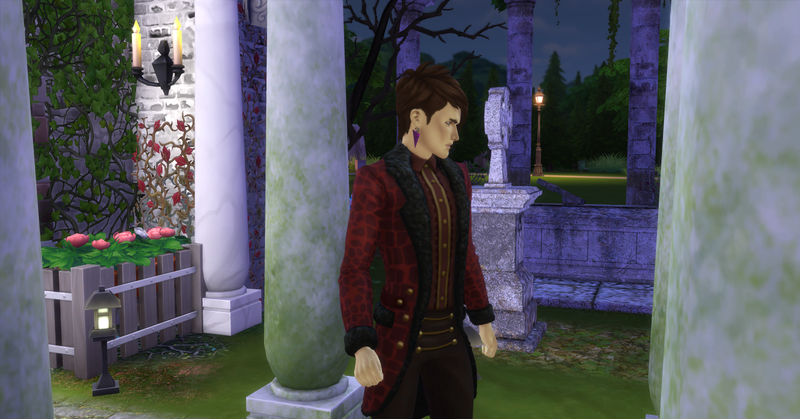 But she had eye's for the Black-tailed Merman Seaworth little did she know he was lured into his Evil plan her, The Young warlock knew of this and was tried to stop her from pursuing even told her that he loves instead and promise to marry her and give her good life. Elijah: "This just sound a bit crazy ... So what happens..? the name Seaworth... that like Our boss's last name. !?. Marco: "That's because he is one of the descents of the black tail merman. from what I heard Vlad told us." Elijah: "So you're telling me they have all have been reborn in new life here. ....?" Marco: Well Our boss seems to be following down the same path he did once before without knowing it. And she seems to be on her own path in this life it seems she following her own probably cause her and her little brother aren't separated in this life when in the last one he tried to find his long lost beloved sister to bring her home, only to find she had been killed but the black-tailed. And that by it self-set him in a path of revenge. 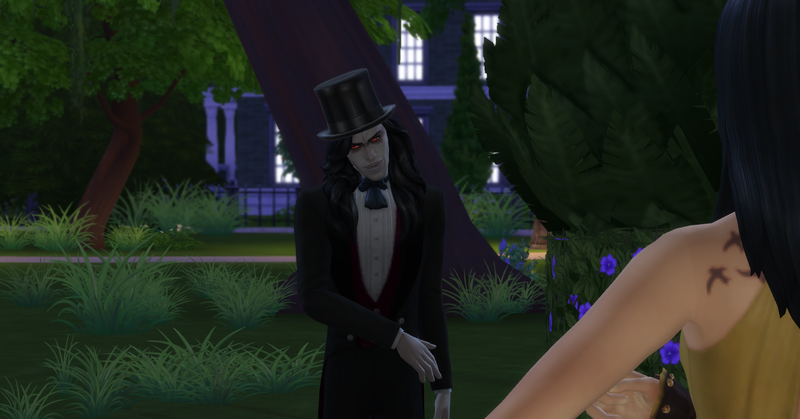 Para:(female vampire with white out eyes and all black suit) it said that she married the Evil Merman but only shortly after to be murder by him in her sleep after the wedding. he returned to the sea and found later by her brother. I did hear that the Young warlock Midden did study spells to revive her He was successful and married her. After returning her to a life she was Human no longer as Fae or vampire. Later though her brother was killed although she was saddened by this she swore she would protect him. in their next life. Elijah: "So... this is why the Vators are proactive of them. 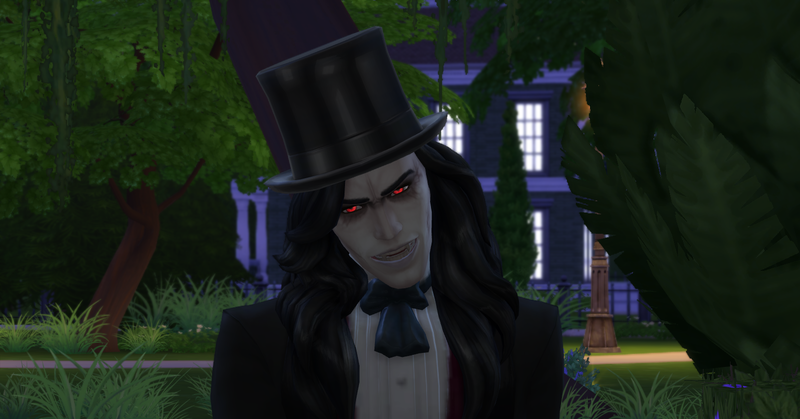 every year from the new vampires that come along such as .."
Dettlaff van Ereteian : " You wouldn't happen to be talking about me, Would you ?, Such delicious scent I smell... Hiss...smells like dinner. " Lilith: " Back Off! Dettlaff..go any closer and I'll have to Put those fangs of your's Where the sun don't shine." Dettlaff: "Well... Well ..are you the mouthy one... Vatore.!!" 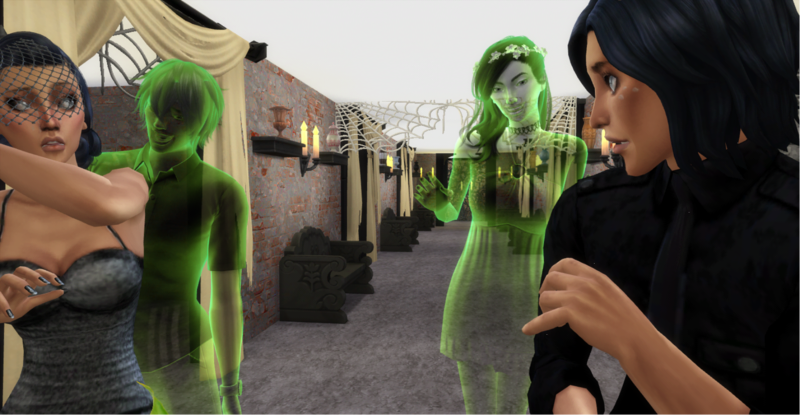 Lilith: "There off limits ... back down now!" Dettlaff: "...And if i don't ?.." Lilit: "You really wanna find out ..."
Marco: well there's the water work from the baby. Rose: "Better shut it before you get a repeat of last year, cause you were the smart mouth idiot in dettlaff place now.."
Elijah: "Really!! You were the new guy?." 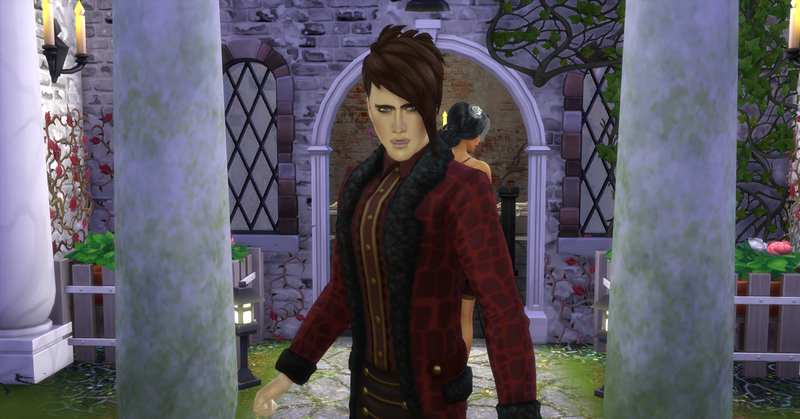 Lilith: "Get move on you two.. "
Caleb: "Come on you two get over here." Pristine: "hey it's ok ...Shhhh. it's ok. come on Caleb's waiting gotta walk a little faster. I'm Right here okay, I won't let any thing happen to you." Anyone else got anything to add better keep their mouth's shut. Para: "It would be wise Van, to listen for once instead of doing things your way before you end up a pile of ash. Dettlaff :" You All Are Fool's !!" Lilith: "The only fool here is you, Van." Preston was hanging on to his elder sister to keep her from fighting. 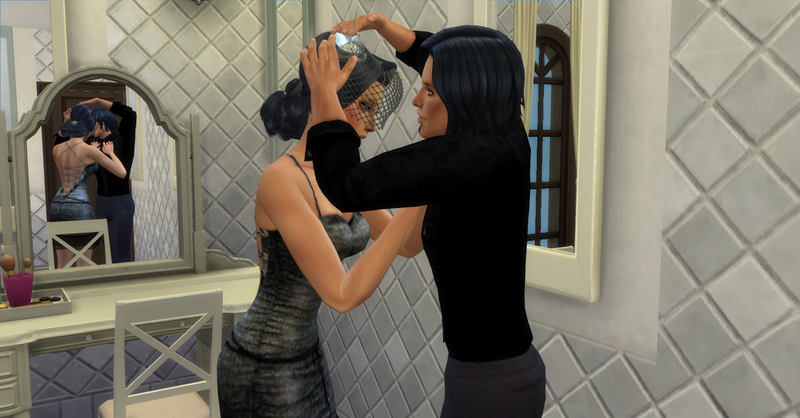 Preston: please don't do this sis.. please for mom and dad's sake, Please.!" pristine "If he keeps running his mouth I'll make sure he swallows both his Damn fangs." Preston: Siss!... please Ignore Him! Please! .... Just keep going please don't pay attention. 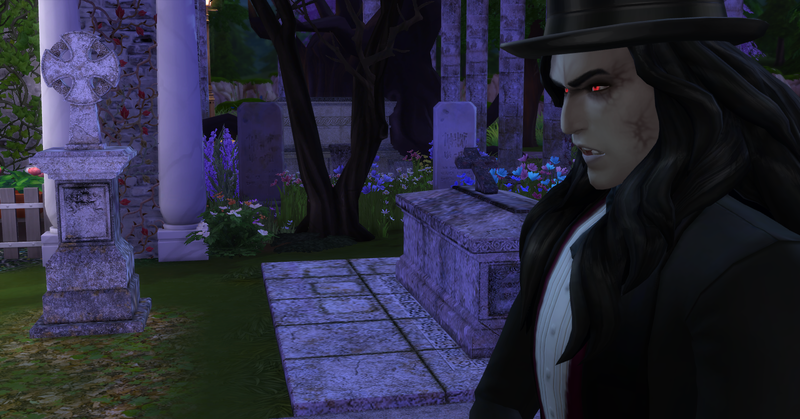 the cemetery set I used is from sims4fun . 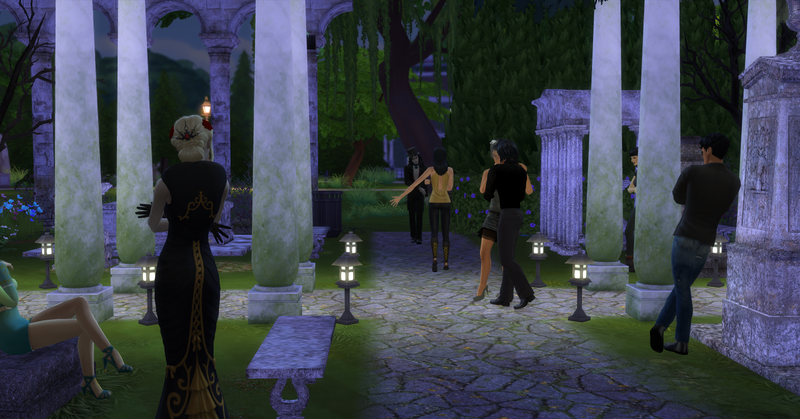 I pose the group of vampires around sims4fun cemetery set. 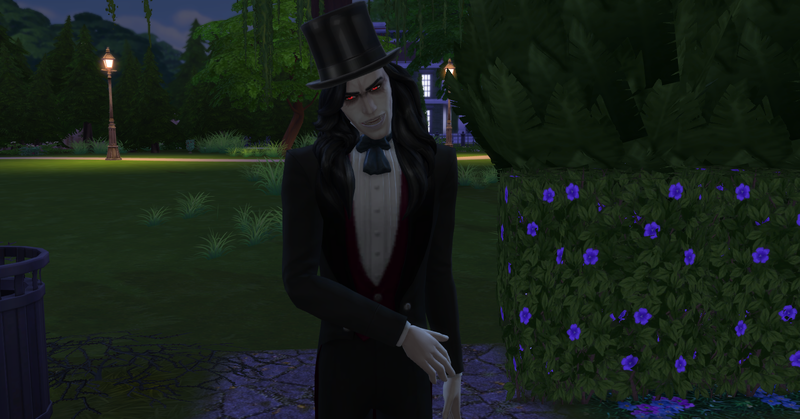 The Vampire set will be posted soon in near future as well. Nice story! Now you are really 'on steam'. But the pics of the first chapters are gone (due to stupid Photobucket). Anyway, I'm looking forward for the next chapter. Last one is already uploaded. First one not yet. I do like those there are great @franniezsims you did really well with those . Pristine: Were here...now you know better not to cry too much. Preston: I know..sniff can't help it. 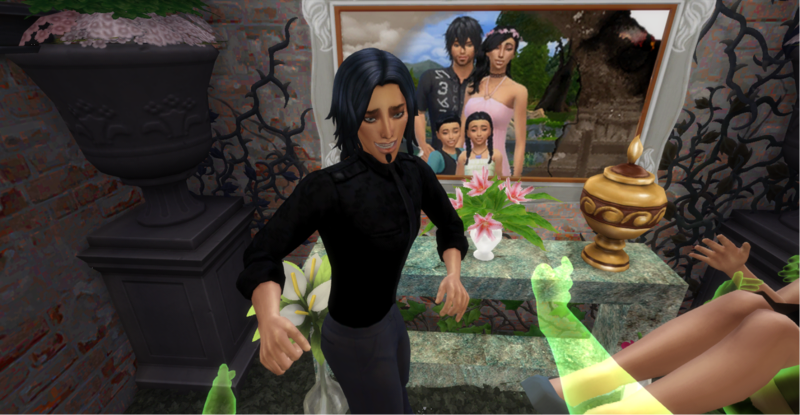 the twins Kneeled before there parent Urns. The twins explained how there year had been good and there well being and relationship, Well so to speak Pristine wasn't mentioning a few details due to her brother would explode to that new. Alas, Pristine had few tricks up her sleeve waiting to unravel. Little brother has no idea what in store for him. As visit came was drawing to an end to say goodbye. 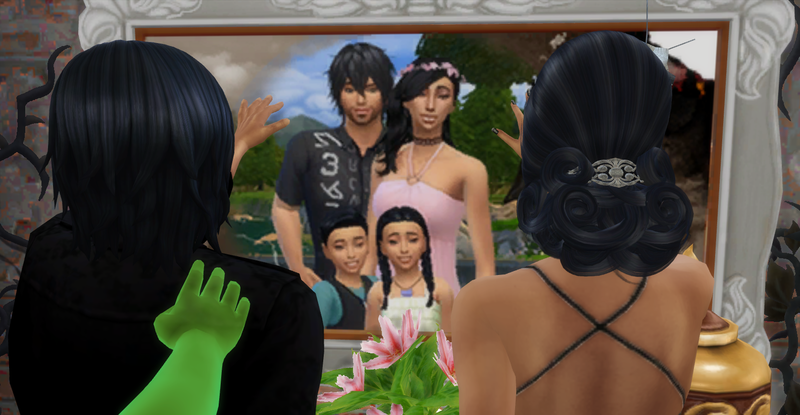 The twins reminisce to a time when they last saw their parents alive. nearly 15 yrs prior. Pristine: "Love you, mother & father." Prestion: "Love you, mother & father." "Your not going to leave so soon are you now dears?" a eeirly sounding Female but familer voice said. "Were happy You come to visit us every year my dear, My you have grown to be as beautiful as Your mother, my preacious daugther." Eerily sounding male voice said. 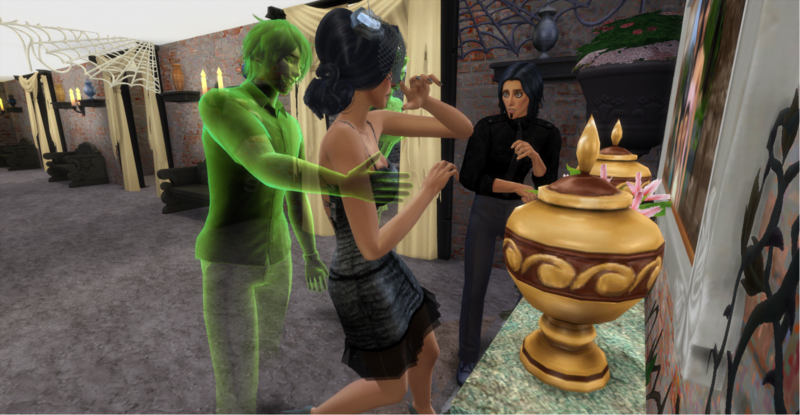 Pristine startled losing her balance to turn around quickly to see a ghostly figure of her father just as the last time she remembered him to be only this time he wasn't alive. 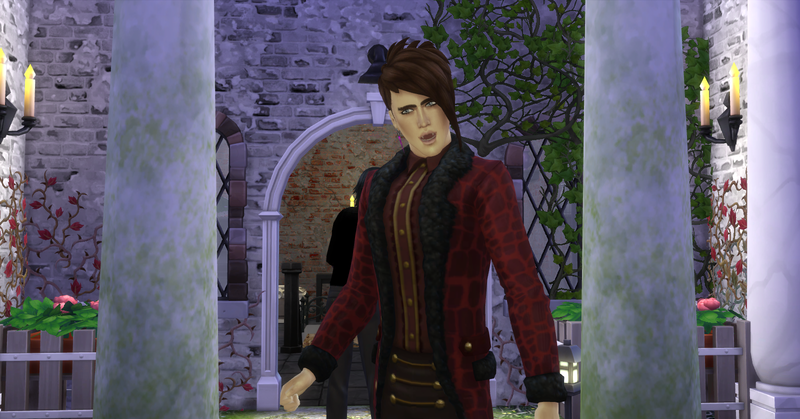 Preston startled and frigthen at first till he saw his mother. Pristine: "Da..Daddy!? is that really You?" Archimedes: " I've gottcha my little tomboy daugther, And who elsa, My precious darling." Pristine: "it's really is You, You heard everything we said"
Archimedes: "Yes we did we my dear we heard everything." Sonoja: "Well Your certanly not going keep me waiting are you? ..where's My Hug!" Pristine: "I've missed you daddy, I've done the best I can as you asked me to take care of Little brother to the best of my ablilities. 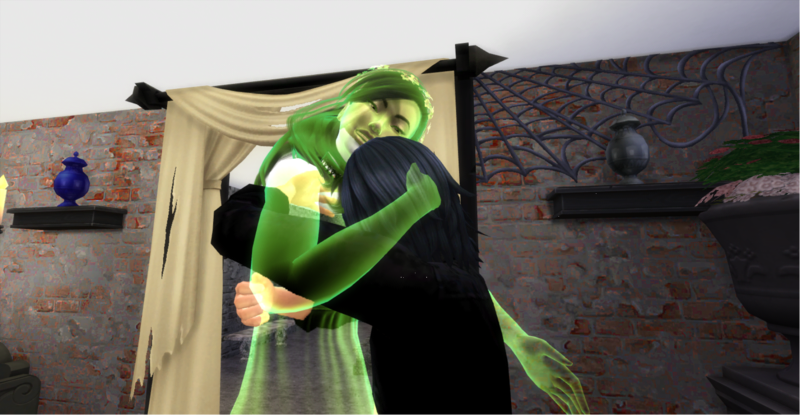 As pristine hugs her father. Archimedes: "You've done well my dear he grown into a Young fine man. A little on the soft side. but you have proctected him well. " Sonoja: " There, there my darling baby boy Mommy right here. Oh how I've missed you, my preacious son, you grown so much last time I saw you just a tiny sprout now you've grown up to a handsome man." Prestion: "Sobs..I miss you so much mother I miss you so very much. I've been watching over sister doing my best to keep her out of troubles"
Next part is in the works I've gotta update my front page OJenn has Updated her front page toe he challenge so I got up day mine for the challenge as well to match .